Having worked in mental health services for over 25 years, I have had the privilege of meeting many courageous people who are walking through life, facing challenges head on, combating obstacles to recovery, and being brave enough to tackle stigma by identifying themselves as a “peer.” What is a peer? When I came to the Mental Health Association in Putnam in 1997, I had no idea. However, as the agency was providing peer support services, I quickly learned. I saw how a person with lived mental health experience could share and relate with someone who was having similar experiences. I watched in amazement as connections were formed, trust was developed, and people embraced the fact that they were not alone in their struggles and felt empowered to move forward. One story that comes to mind is a perfect illustration. We were running a new group on a mental health inpatient unit at a local hospital and our goal was simple and seemingly non-threatening: We were there to provide information about community resources and supports so people could get help in the community rather than at a hospital. It was 1999 and we were developing our “peer bridging” program to help individuals bridge from hospital to community. During the group, a person who was in treatment on the unit became very upset, shouting, “You don’t know anything about me! I’m living in the woods. I’ve got nothing…what does this have to do with me?” I thought to myself, this is not going well! My co-worker, who continues to this day with us as a peer bridger, responded, “I understand what you are going through. I know you feel hopeless right now. I’ve been there. I was living in my car, I had no one and no hope, but I am here to support you and help you. You can get through this. I’ve been there.” In an instant, the energy in the room changed. This person who was very agitated became calm and engaged and I thought, what just happened? Magic! That’s peer support. Over the years, I have had the honor of watching people flourish and grow, like beautiful flowers. Their blooms are the biggest and brightest when they have been nourished with peer support. I can think of countless people who wandered through our doors feeling isolated, shy, lonely, depressed, sad, anxious. 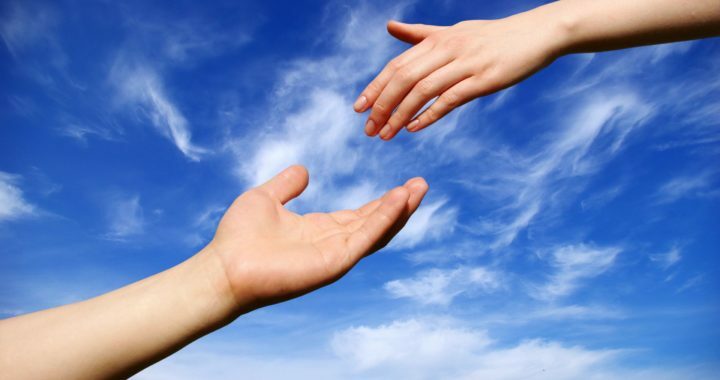 Typically after a relatively short period of time, through our array of peer support services, they would become different people: connected, social, outgoing, empowered, joyful, supported and confident. The beauty of peer support can be seen when hearing someone ask another “peer” as they walk out the door, “What are you doing this weekend? Would you like to get together for coffee?” or “I’m having a BBQ this weekend, you want to stop over?” Nothing makes me happier than witnessing these connections. For many of us, this is seemingly not such a unique occurrence. Many of us are very socially connected with family or friends, but that may not be the case for people living with anxiety or depression; for them, social interactions may feel overwhelming and impossible. Of course we rarely work alone. Peer support can be a perfect complement to more traditional treatment—therapy, perhaps medication for some, and others may seek more intensive care on occasion. So who is a peer? In the mental health field, we might tend to identify peers as individuals with shared mental health experiences, but in reality peers are individuals with shared lived experiences. And, in reality, that could be any of us! While I might not be able to run a peer support group on bi-polar depression or living with schizophrenia, I could run a peer support group on post-partum depression, being a NICU (Neonatal Intensive Care Unit) parent, or being a stressed out working mom! The truth is, we all have lived experiences and when we share them, we not only help ourselves have the courage to walk through our own lives, but we can help others on their journey. We are often walking down the same path. After all, we are all in this adventure we call life together and when we feel supported and help others feel that way too, we can really start thriving. That’s the transformative power of peer support. Megan Castellano, MPA, is the Executive Director of the Mental Health Association in Putnam County, Inc., an affiliate of CoveCare Center.